I'm thinking about taking the plunge for an environmental fireplace for canoe tripping. I've read through the forums and couldn't find the answer to my question. I've used a stove for most of my backcountry cooking, and I like the idea of having a fireplace that I can move around to follow my tarp when the weather goes sideways. My question is- in your experiences, is there a need to bring a supplemental stove along with you if you use an environmental fireplace? It would think not, especially as far as the extra weight goes, but I thought I'd see what your thoughts were. Most of my tripping at the moment is lake tripping in the Canadian shield. 3 people or more and I bring a spare white gas stove. 2 or less and I bring a Trangia with several burns (100-150ml) for when it's not convenient for an open fire. I don't take a gas stove on short trips (3-4 days). Longer trips I do. The more skilled you are at making fires, the less you'll be reliant on a stove. In wet, foggy or very windy conditions you can try cooking on your stick stove (fireplace). If you have a gas stove with you won't find yourself as stressed/frustrated getting your fire going if you know you have a backup plan. I took a gas stove on a 2 week trip. We started using it every day near the end because we had all of our fuel left (we also had fairly good weather). The stove (MSR Dragonfly) is also quite bulky. I'm thinking of going with a Trangia on a three week trip this year. It will be just two of us like Canoeheadted says. I also find it quite easy to start a fire in our Littlbug. Ok thanks gents. Good points about using a stove for convenience and/or stress relief. I have a little compressed gas stove that I could see using for coffee stops and the like. So what exactly do you mean by an "environmental fireplace"? Are you talking about a twig stove? If so then just be aware that the most knowledgeable answer folks have gotten from MNR staff is that they can't be used during a fire ban because they don't pass the requirements for having a spark arrestor. Or I may make one myself. While I appreciate the twig stove's ability to produce quick and effective heat, I'm looking for something a touch bigger so I can burn larger pieces of wood for an evening campfire. Good point about fire bans too. Definitely ok for river trips. It's convenient for getting your fire close to your tarp without leaving a burn spot behind and if you have garbage, you can dry it out and burn it on the grill. Definitely not a light weight tripping item. Other than eliminating signs of having used a spot for camping, I'm not so sure why you would call a firebox "environmental." If I use my gas stove for two weeks I use less petrolium than my vehicle burned the last 20 k to the put-in. I'm guessing a wood burning box is regarded as environmental vs a petroleum burning appliance. I'm not getting involved in that dog fight. I have both fuel stove and twig stove. The stick stove is now my go to stove, the fuel my back up. I like the fire box you've linked ( I have a Littlebug). If you're nervous of running short of tinder in wet conditions then just collect some dry fire starter and tinder as you travel. A small fire in a fire ring is nice to cook over and enjoy. Otherwise a twig stove is convenient and dependable. I'm not confident enough yet to give up my fuel stove as back up. "environmental" may also apply to the fact that you will use (probably) one tenth of the fuel you would use on an open fire. Whether you're cooking or just for ambiance. I don't mean to infer that it's especially 'green' or environmental. Just that is what I know them to be called. I think Bill Mason coined the term but I'm not sure. Thanks for the link. I like that option better because of the weight. I'll contact him directly on his website. 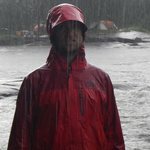 I paddle mostly in Alberta and BC, and very often there are fire bans. I love having a fire, but that previlege is not guaranteed. I use a Trangia alcohol stove-- and yes, it's slower than pressure-gas, but it has no moving parts and is foolproof. Typically, methyl hydrate is used, but the ideal fuel is ethanol, which-- as you know-- is dual-purpose. Or I may make one myself. It looks like these were designed for outfitters or fishing/hunting camps. They are overbuilt - too heavy for a personal DIY project. Just look at their grill.